Will that be lemon or cream? Seems to inquire the charming vintage kitty cat Shafford teapot with little paw spout, circa 1950s. 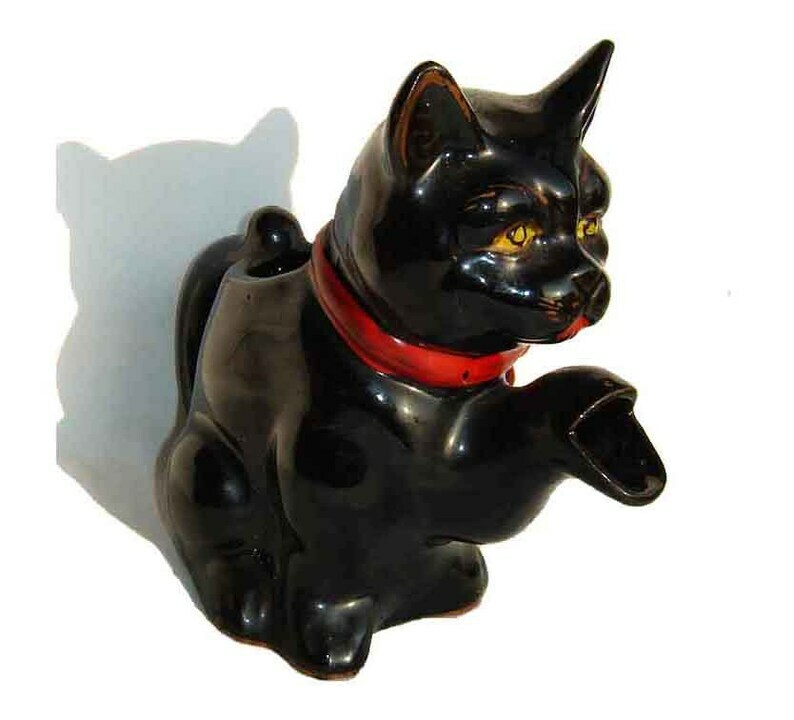 The fanciful kitty teapot or pitcher can also be used as a creamer, and consists of Shafford Pottery redware, featuring a lustrous black glaze with painted yellow eyes, tiny painted mouth and red bow collar. It measures 6&1/4 inches across at its widest point (from end of spout to back of tail), and sits 5&7/8 inches high. One can see the faint marking of “Japan” along the underside (see last pic). Very good condition -- no cracks or crazing, and all paint is intact.